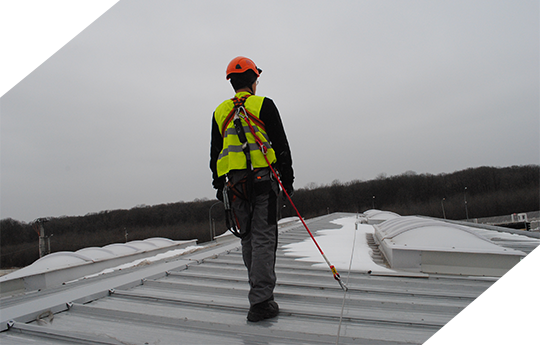 Rope Access is a flexible and efficient way to position a technician in inaccessible places. It is a safe and effective alternative to the classical method, the scaffolding. 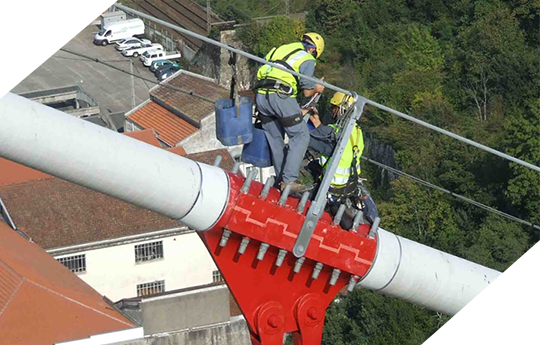 The Eolica Technical Support team provides industrial rope access services, which is IRATA certified ( Industrial Rope Access Trade Association ). The safety of the workers must not be neglected! The Lifeline system is used in work areas where technicians need mobility and which does not allow anchoring to a fixed point. The Lifeline system takes many forms, from suspended wires over the technicians, on which slides a wheelchair, to pillars at the knee high, connected together by a steel cable, on the length of which slides the metallic clamshell link of the connection mean. The Eolica Technical Support’ team deals with security of your employees. We Deliver and install permanent fall protection systems. The installation includes calculation and design of the systems, user training and maintenance services and periodical inspection. We are accredited to provide training services for the use of the devices and equipment in the portfolio. The training can be done both to the beneficiaries and to the partner centers across Europe. 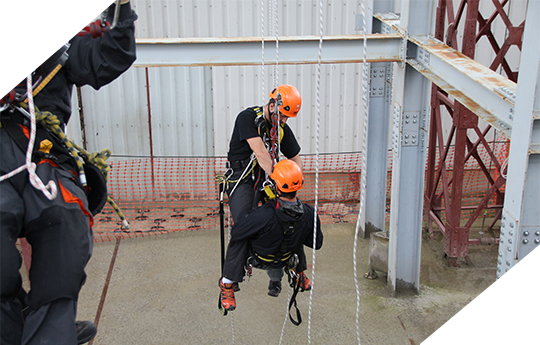 All the instructors made available come with a significant experience in working at height, in a variety of applications, most of them being members in organizations that deal with rescue and evacuation of persons from height. This guarantees once more the high level of courses and workshops.